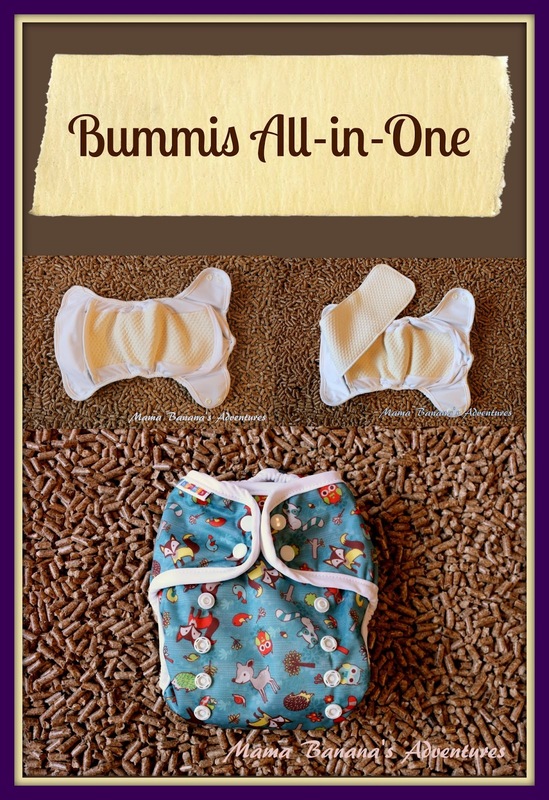 I love cloth diapers! 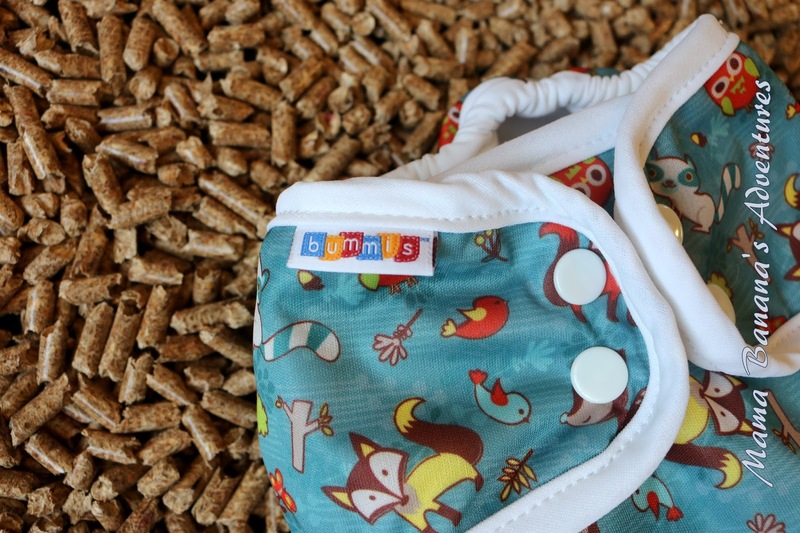 Not only are they adorable, but they are chemical-free and better for the environment. Definitely easier on the wallet long-term. 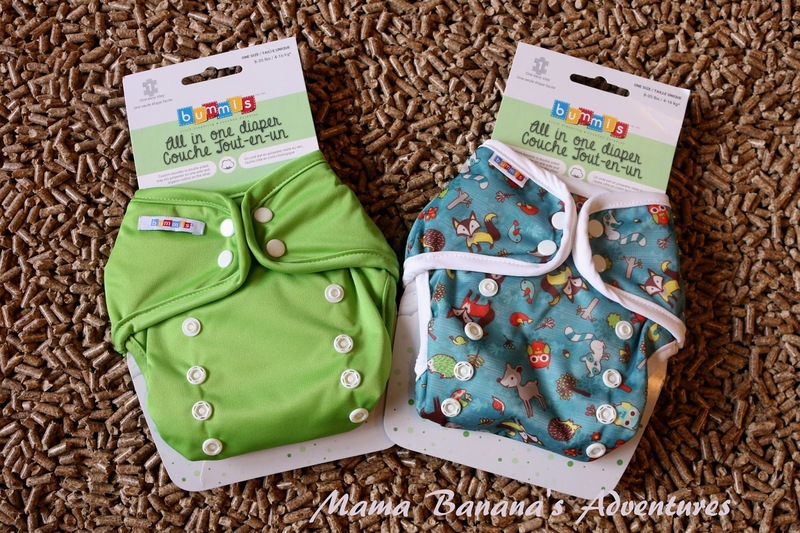 Cloth diapers are becoming more and more popular and I love sharing great brands with parents in all stages of diapering. Price range is vast and you can spend anywhere from just a few dollars to big bucks for those highly sought after or hard to find! Why the big price difference? Many factors determine pricing including; Materials, factory location and worker conditions. I love knowing that a USA or Canadian worker is being paid a fair wage, and working reasonable hours, then wonder if our cloth diapers are the product of child labor and poor factory conditions. Wouldn’t you? Our experience has been pretty great. So, as I mentioned, I didn’t start out as an AIO fan. 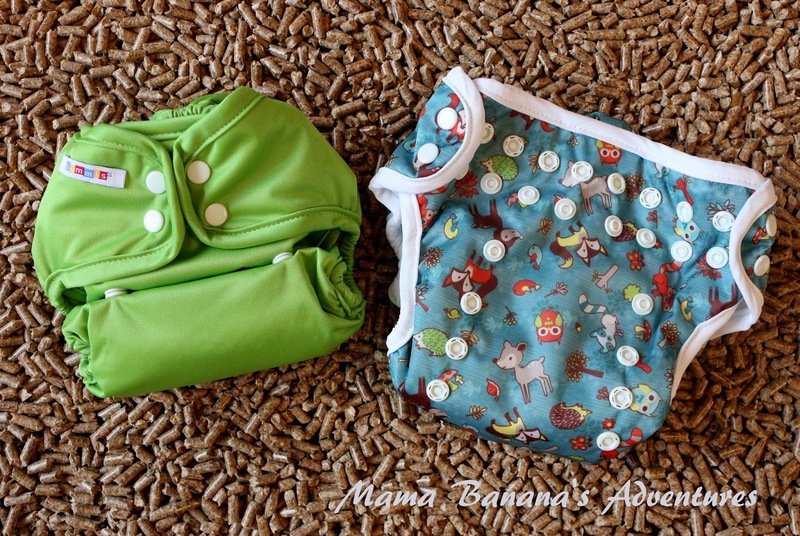 I began cloth diapering first with prefolds, and then dove into pockets. Once I started trying AIOs I wished I had added them sooner! They’re super easy to use, ready to go right out of the wash and don’t confuse Grandma. I never hear “what do I put into this diaper” or “how do I fold this again” from the occasional helper. They do take longer to dry then our pockets and covers, but it’s not really an issue. All of our natural fibers take longer, including prefolds, and I find that drying them all together on our hanging rack works well. As for staining, the stains come out easily too. 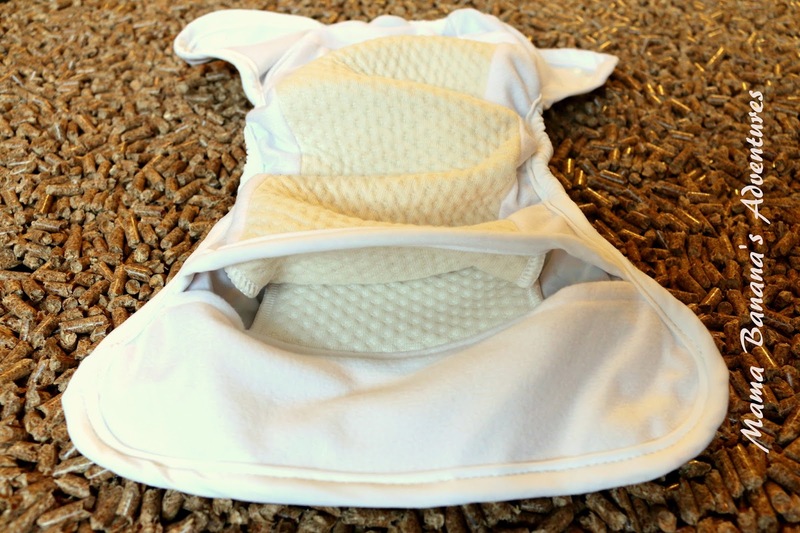 If the wash doesn’t do the trick, then sunning our cloth diapers removes stains from every style we own. 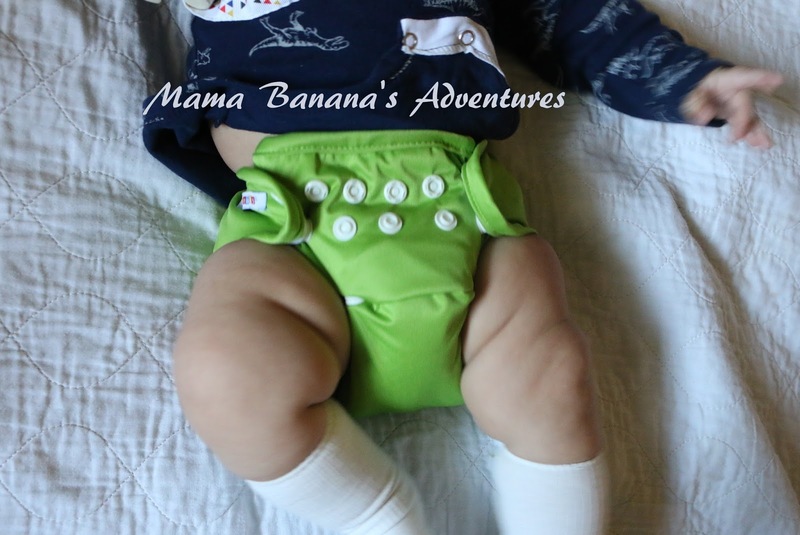 When I first opened these diapers, I thought “these are much more adorable in person then they look online!” The PUL is kind of shiny and has a great feel. 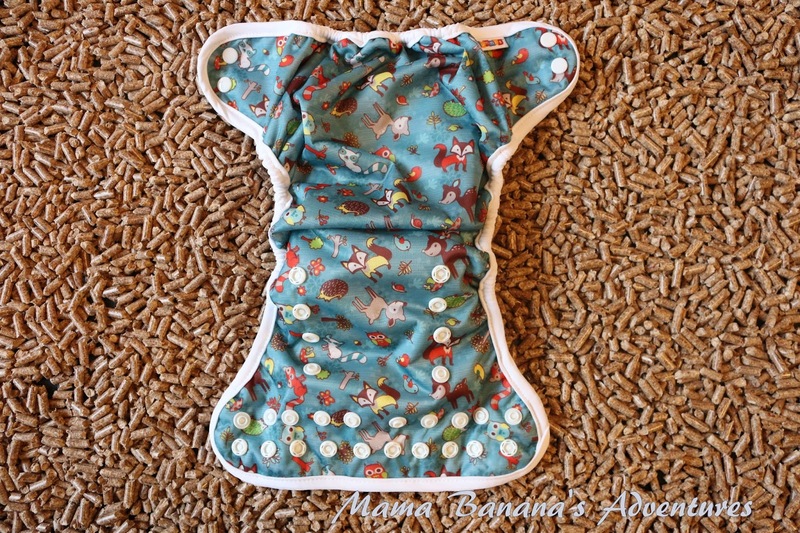 The inside of the diaper is super soft. The soaker material is positioned in such a way that it doesn’t get under the snaps on the waist band, and allows for a great waist fit without having a zillion waist snaps. 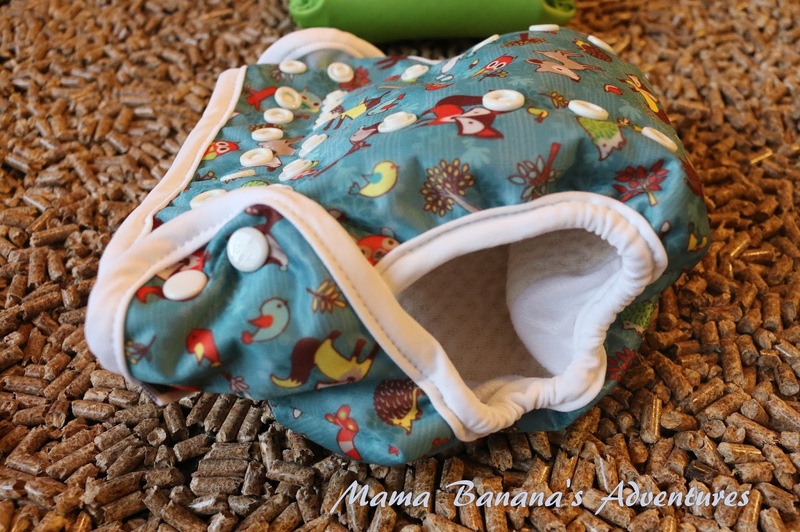 The snap area is still lined with fabric, for comfort, but doesn’t have any added soaker bulk. 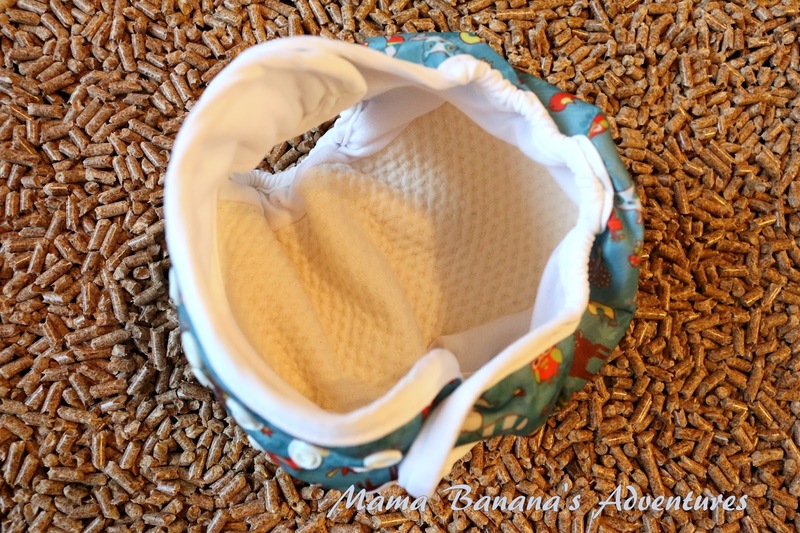 So far, this has contained EBF poo well…and my guy is a champ! He was 17 pounds at his 8 week weigh in and he’s 12 weeks in these photos. He’s on the smallest rise and still has lots of size left in the waist band. I expect these to fit him for a long time! 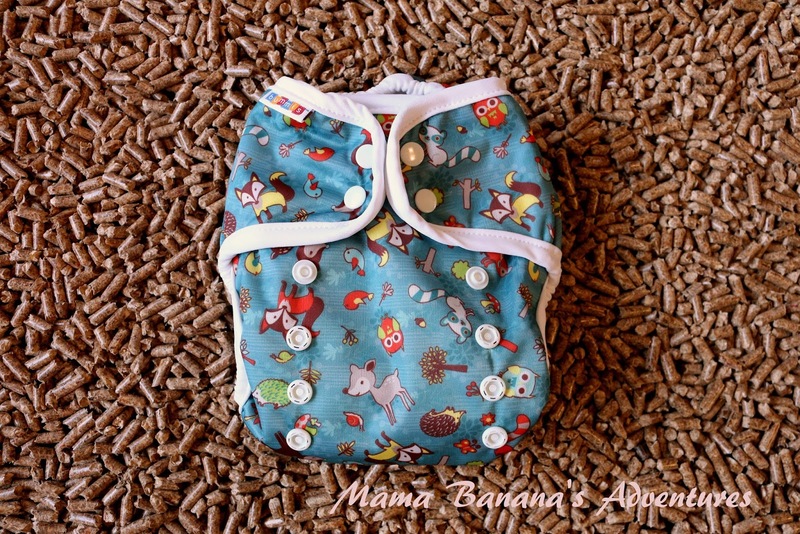 I prepped these diapers in 4-5 wash and dry cycles with our regular laundry. 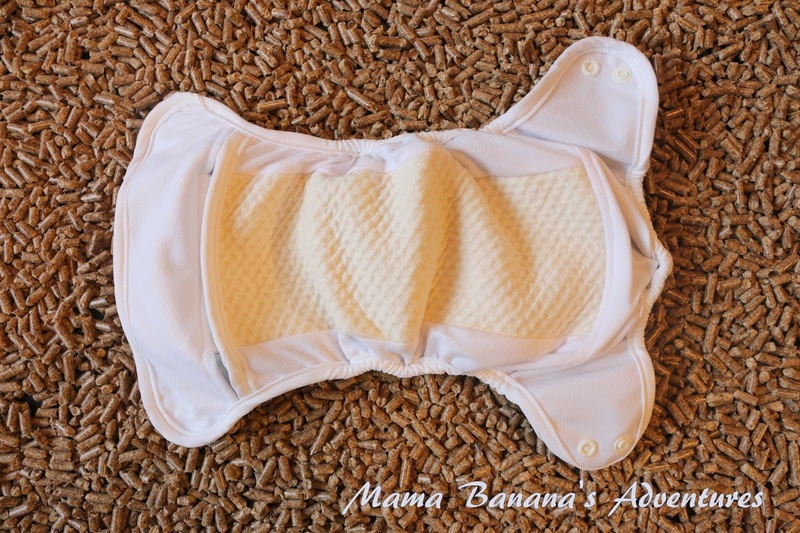 For day use they have enough absorbency for my heavy wetter, and I change diapers approximately every 1.5 hours. Sometimes less! 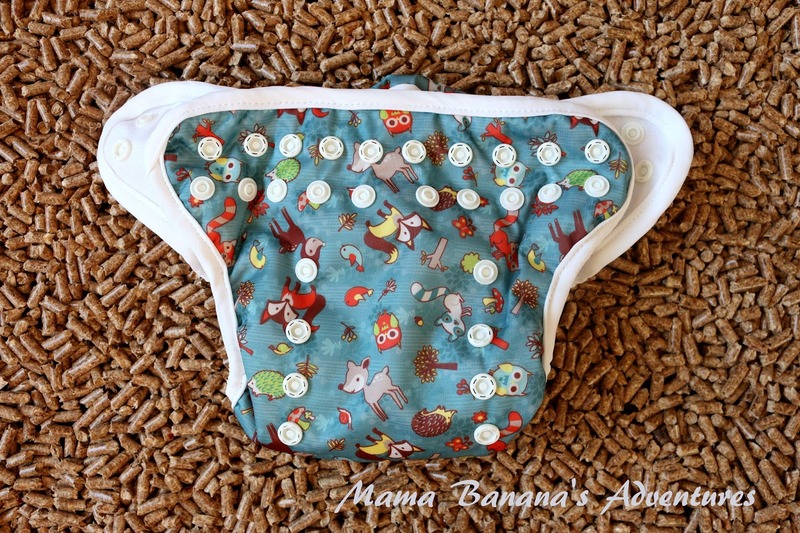 I have added a small boost right in the front if we’re going in the car or need to stretch a bit longer for a nap, but overall this is one of our more absorbent diapers. I’m very happy with the fit and look forward to these coming out of the wash. They are easy to put on and since my little one started waving his arms and legs when I change him, it’s a nice feature! I need speed on my side! I leave the rise snaps where they are and only need to snap the 4 waist snaps for a change.